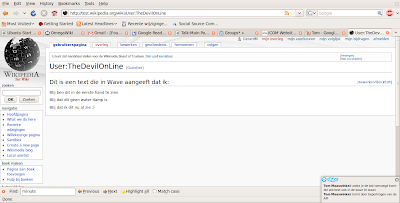 I use Firefox on Ubunty, the Nikud characters used in Hebrew look for me like this. It is these kind of things that need to be addressed when we support the "other" languages. It is just an example of one language that we want to support in the "Special characters" of the enhanced editing toolbar in the beta version. 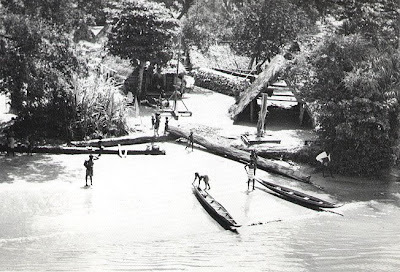 The Maroon of Surniname will be the subject of an exposition in the Tropenmuseum in November. As I did not know who they are, I had a look at the articles on the subject in several Wikipedias. I found that almost all the illustrations where taken in 1955 by the father of the man who uploaded the black and white pictures to Commons. I contacted John Hill who lives in Australia and asked if it would be possible to get new scans in the highest resolution possible. He wrote me that he will see what he can do. I talked with people from the Tropenmuseum and, they are interested to learn what kind of material we can find on the Maroon. 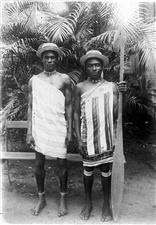 Do you have material about the Maroon of Suriname or the Maroon in general? Please upload it to Commons and let me know. The Wikivoices episode that is to be recorded today, will be writing an article about some famous children's rhymes. One of them is the "Queen of Hearts". 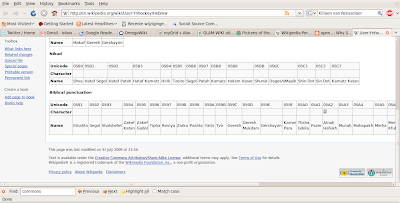 The idea is that a new Wikipedia article will be created and will be brought to a level where it is a DYK. I was asked to join and ... well not only is the text new to me but also the words are foreign to me. Words that are a bit archaic would be my excuse.. I pride myself for my English so I found my role.. I will add all the words that I do not know or that I am uncertain off to OmegaWiki. 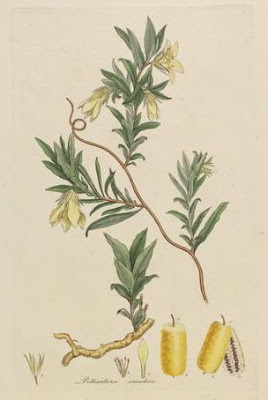 The book "A specimen of the botany of New Holland" was the first book on the flora of Australia. The book consist of 16 colour plates based on paintings by James Sowerbie based on sketches by John White. This book can be found on Wikisource. My growing interest in historic material made me find my way to Wikisource and now I am intriqued to learn why the scans of those 16 colour plates have not been uploaded to Commons. After all, Commons is the repository for all the Wikimedia projects. I am as interested in learning about other aspects of these illustrations. It says: "This is a cropped version that eliminates the indexing information" and to be honest such a crop is the last thing I would expect of a Wikisource project. It seems to me that such information is what gives this material extra relevance as a source object. It is not clear where the original material can be found; is this book part of a private collection or of a GLAM, is it possible to redo the scans at a much higher resolution and without compression? This material is relevant and when this is the best we can have, it will suffice. It is however also an example why annotations are important because that would enable me to find out. By pointing out these opportunities, these images may be revisited, moved to Commons and become even more relevant. 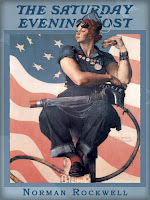 "Rosie the Riveter" is an icon representing the American women who worked in war factories during World War II. 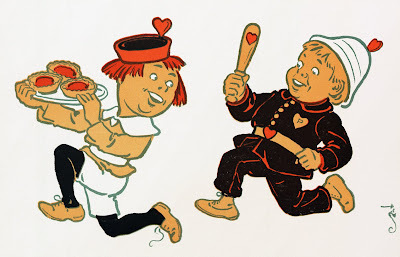 At the time, Rosie was associated with a picture by Norman Rockwell. Accordign to a presentation by the Library of Congress, this image is no longer that well known and is largely replaced by the "We can do it" picture. What I found most interesting is that the reason given for this change is copyright. 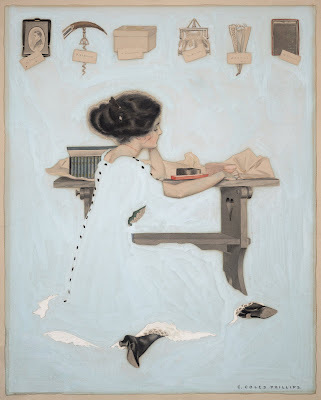 The Norman Rockwell estate enforces its copyright and as a consequence his material is expensie. 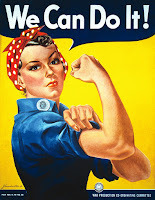 This made the original "We can do it" picture more atractive; this image is freely licensed and as it is as attractive, you will find it on posters, as an illustration even on mugs. When copyright makes material less attractive, when as a consequence illustrations become less relevant, the way we look at history changes as well. The argument that copyright destroys the relevancy of material is a new one to me. It is however really powerfull. Do have a look at the Library of Congress video.. Featured pictures exist on many projects and, the process of featuring a picture is different on each project. When a picture is featured, it adds real value to the picture. This value is in the exposure it gets on the main page of the project and when it is featured on Commons, it becomes eligible for the "picture of the year" election. The featured picture of the English Wikipedia is in some ways the more relevant one. As it is featured on the Main page it is seen by many people. Wikipedia is an encyclopaedia, there is a need for the pictures to have an encyclopaedic relevance as well. 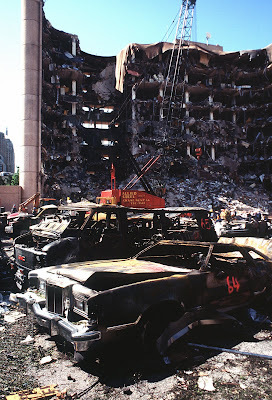 This picture of the Oklahoma bombing is currently a "Featured Picture Candidate" on the English Wikipedia. 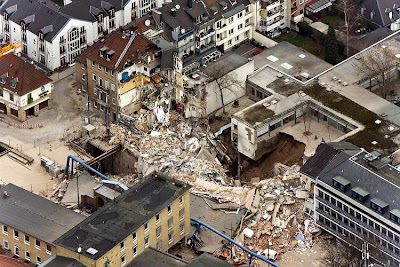 It is the leading picture on the article on the Oklahoma City bombing and it is unlikely to feature because of the existing quality requirements for a picture. It is likely that we could get a truly high quality picture from the people at DefenseImagery.mil. It is probably good to have these high requirements for a featured picture. The best arguments is that a "featured picture" at the English Wikipedia makes a picture relevant. The Wikimedia Foundation, its projects and communities have been dear to me for a long time. As a volunteer I have been deeply involved in many roles. I was often not pleased with how things were and, I have always "put my money where my mouth was". 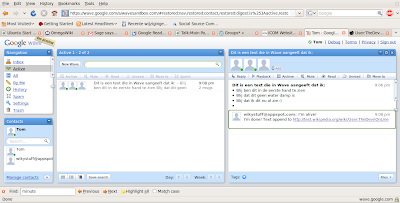 In answer to the inefficiency of Wiktionary, I first developed a templating system and this lead to OmegaWiki. The inability of Commons to serve people who do not speak English had we develop a working proof of concept that allowed for multi lingual search and multi lingual categories. The lack of timely delivery of localisations had me come up with LocalisationUpdate. The need for important historic illustrations had me contact several GLAM. All these things are in my opinion important and strategic for the WMF but I have been outside of the centre of gravity and as a consequence much of what I did did not get the attention that I would have liked. In what I have done, support for languages and support for our smaller projects has been a constant, this may also be clear from being a member of the language committee from the start. A recent incident made me decide to stand for the board. It was when I learned that the Special:Preferences on Commons were not properly formatted. I posted a bug on Bugzilla only to be told that "issues with CSS were not admissable; they are for the admins of the projects itself". After some heated conversations, it was agreed that admins are not the people who you can expect to fix complex issues like this. 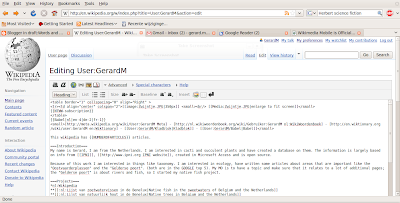 To my amazement bugzilla showed many issues with our RTL support. My conclusion is that when even languages like Arabic do not get the technical support that is to be expected, there is a need for a more direct approach. It is the board of trustees that is responsible for the strategy of the WMF and for me this is just another indication that language support needs to gain priority. With Milosh dropping out of the election, there was noone left who I knew to have enough appreciation of this issue. Once I considered standing for election, I realised that I actually had a range of issues that could benefit from a board member championing these issues and it is exactly what should be expected of a board member. It is my track record that provide you with the arguments why I can bring important value to the board. On the board I will have to deal with all issues and I will but it will give the issues I champion a deserved place as part of the overall WMF strategy. Spaarnestad Photo is known for its photos. It has a massive amount of them, they are a foundation and they sell their high resolution images in order to maintain and preserve their collection. Making a profit means for Spaarnestad that they have been able all year to put photos in protective coverings, that they maintained the right atmosphere needed for the preservation of their collection and, that they were able to continue the digitisation effort of their collection. 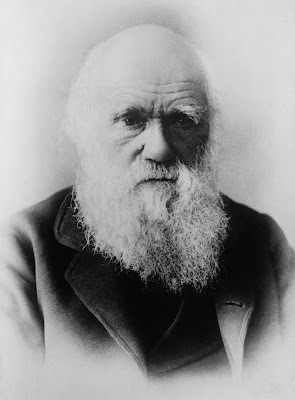 When I visited Spaarnestad, we talked about our restoration effort and one particular picture peeked their interest; it is this picture of an elderly Charles Darwin digitally restored by Durova from a scan from the Library of Congress. It was of interest because Spaarnestad has it in its archive as well. Adam Cuerden who is a restorationist specialising on graphics heard about this, and indicated his willingness to pitch in and restore material for Spaarnestad as well. Spaarnestad started off as the archive of a publication, and a lot of graphic work is part of this. At the Open Translation Tools 2007 conference, I got the impression that I was the only one who did not twitter. So I started a Twitter account and, untill today I posted only two tweets. To my amazement I have already eight people following me and, this makes me reconsider Twitter. I was sleeping and I was called at 05:00. A friend of mine who was on a holiday in France called. There was an alarm at the shop, if I would be so kind to check, "it is probably a false alarm" .. except it wasn't. The police and the fire brigade were dousing a fire. Some ! @#$% had broken a window poured petrol in at the shop next door and put it on fire. Because of a rapid response, the fire did only minor damage. The soot.. The soot is quite something different; soot gets everywhere ad it does not need much to travel. My friend is now waiting for the expert of the insurance company, for professional cleaners to come.. This is the kind of criminality that deserve imho everything society can throw at these bastards. The Tropenmuseum is preparing to upload images to our projects. 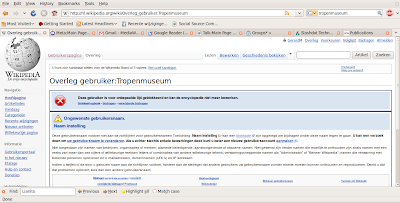 In anticipation of this we have created a userprofile on the Dutch Wikipedia called "Tropenmuseum". This user is currently blocked. 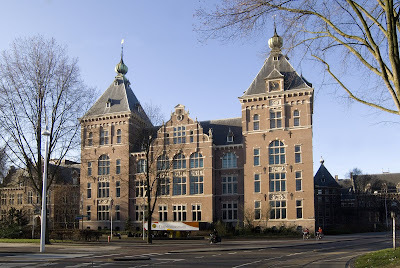 The Tropenmuseum wants to be able to to upload the images under its own name. It wants to answer any issues. I think this is quite reasonable. The husband of a friend of mine has been taken into hospital with a pulmonary embolism. A pulmonary embolism is a life threatening condition and it manifested itself after a long distance race. It is quite shocking to be asked if you want to be re-animated when things go wrong. It is quite shocking when you are considered to be REALLY healthy. One reason we can come up with are the pills used to boost body mass and the oxygen capacity.. Pills bought from the Internet... My friend brought all the pills to the hospital and they are looking into this. I hope earnestly that it will work out well. To better understand what I am so often talking about I asked Durova for an appropriate picture. 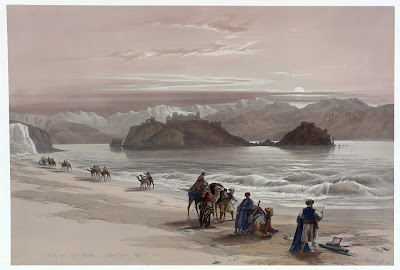 This is a picture titled "Isle of Graia Gulf of Akabah Arabia Petraea" it is a drawings made on the spot by David Roberts and the lithographed was made by Louis Haghe. It is exactly right for me; it is a beautiful well preserved picture with some damage at the bottom and a few minor stains and the colour has faded over time. It has a subject and a quality that might even make it a featured picture. All in all, it is the ideal object to motivate a beginner like me. When I was done, I had it checked by Durova and she sprinkled some additional magic on my work and now I think we have this gobsmacking beautiful picture. I have learned some basic skills in GIMP, I learned that indeed you can be skyping and work on specs at the same time. All in all, restoring images seems like knitting; you are productive and you can jabber at the same time.. When people think about security and hacking, they often think that hackers have to do incredible things to get access to systems and data. The truth is typically much more mundane. 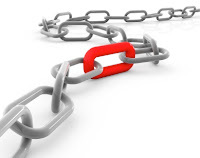 Many people and organisations do use software that is not secure. Many systems do not have all the latest patches. for all the "industry standard software" there are exploits. Typically hacking is using an exploit. When software makes it hard to gain access to something, some people would call this a "security feature". But to make something truly secure, the software has to be written in such a way that it is designed to make it hard to get at the something. This does however not mean that exploiting this weakness is not as much a hack as abusing known exploits in "industry standard software". The Tropenmuseum is preparing for the upload of a selection of their collection to Commons. The aim is to upload images that relate to Indonesia. This is a huge collection estimated to be some 100.000 images. This is a huge undertaking with many issues, to get a feel for the issues, the Tropenmuseum has decided to start with a much smaller collection, a collection about Suriname and slavery. There are several thousand images in this collection and, it coincides with a presentation on the subject. A new issue is one of language; the annotations that go with this material is in Dutch. Some of the annotations have been translated into English and while the Tropenmuseum will welcome more translations, it does not have the capacity to provide these. The problem for Commons is that there are many museums in the world and it cannot expect them to provide all the categories in English. We also talked about how to keep people interested in the GLAM that cooperate with the Wikimedia Foundation. (GLAM = galleries libraries archives museums) and one of the initiatives of the Tropenmuseum would fit that bill. Every month they select an object that has something of a mystery about it and they ask the public to comment. This months object was left by a member of the public at an exhibition about Haitian voodoo. This object has a most prominent place at the entrance to the museum and, the hope is that a member of the public can help out and help with the provenance of the object. Maybe you can help by identifying it as either a hoax or the real thing... It looks spooky enough either way. 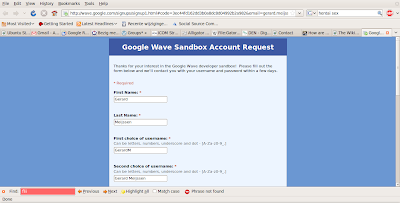 There has been a lot of talk in the last year about the usability of the MediaWiki software. Today, the new functionality created by the Usability Initiative has been rolled out. 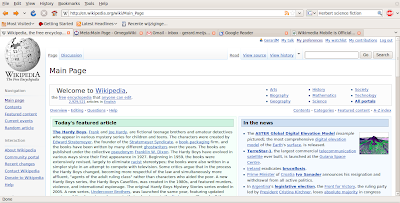 Have a look at today's English Wikipedia main page.. It not only looks good, it also makes it easier to understand what you can do. Given the large percentage of people who just do not appreciate that they can edit a page, it is a big improvement. When you want to be part of the future of Wikipedia today, you have to change to the "vector" skin. Another neat feature is the "enhanced editing toolbar" that you can enable on the "editing" tab of the user preferences. 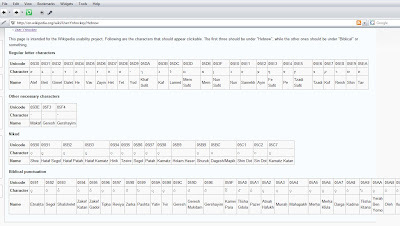 At this stage the usability improvements are available for all the "left to right" languages. Because of incompatibilities in IE-6, some more work is needed before it will become available for languages like Arabic and Hebrewl. All in all, it is a happy day because you can see the shape of things to come for all of us and you can experience it now. When you find any issues, this is where they are happy to leaarn about it.